Ontario’s former environment minister called for a clean up of mercury contaminating Grassy Narrows First Nation, historical cabinet memos obtained by the Star show. But nothing was done by the government of the day to clean up the polluted river and lakes, and more than 30 years later the fish that feed the community are still contaminated. The March 30, 1984, recommendation to cabinet from then-Environment Minister Andrew Brandt said the government should endorse a $2-3 million remediation plan to “cover the mercury sediments” in the nearby Clay Lake on the English-Wabigoon River, but hold off on the more disruptive and costly option of dredging the river system pending further study. “The provincial government should not appear reluctant to take action on the report’s recommendations,” wrote a senior environment ministry staffer in a briefing note circulated within the department in the spring of 1984. This document also said that the federal and provincial governments should start negotiating cost-sharing of a $2-3 million-lake remediation program. Cabinet discussions are secret, and it is unclear how the decision was arrived at in the 1980s to allow the river system to recover naturally. The cabinet during that time was under the leadership of Conservative premier Bill Davis. A spokesperson for the environment ministry told the Star recently the ministry cannot comment on the decisions a provincial executive made in the 1980s. “An evaluation of remedial options was done in the 1980s and the federal and provincial governments ultimately concluded that based on ecological, economic and sociological feasibility, as well as efficacy, natural remediation was the most viable and appropriate response at the time,” the spokesperson added. The people of Grassy Narrows and nearby White Dog First Nation had long relied on the river and lake for food and jobs in the tourism fishing industry. That was before the old Dryden pulp and paper mill — now closed — dumped 10 tonnes of mercury, a potent neurotoxin, into the Wabigoon-English River system between 1962 and 1970. The site of the plant, now under different ownership, is about 100 kilometres upstream from Grassy Narrows. For too long, successive governments have been “paralyzed by indecision” despite the growing scientific evidence that the river system can be cleaned, said Faisal Moola, the Ontario director of the David Suzuki Foundation, who reviewed the documents obtained by the Star. “These cabinet documents reveal that as far back as 1984 the Government of Ontario was prepared to take action to clean up the mercury in Grassy Narrows, but in the end chose not to. As a result, the people of Grassy Narrows continue to be needlessly exposed to high concentrations of toxic mercury, in their water and food, which is making them sick,” Moola said, adding. Another scientific government-funded report commissioned by Grassy Narrows and released just last month is suggesting a remediation plan for the English-Wabigoon River system, primarily based on the method of resuspension. Premier Kathleen Wynne and other government officials have, in recent weeks, repeatedly referenced advice given by scientists who they say have recommended against cleaning up the mercury. The Star asked the province’s environment ministry for the scientific evidence that has informed such comments. A ministry spokesperson responded by saying that “bank-to-bank river dredging” — a method which digs up deep sediments with high mercury concentrations — is not recommended by the U.S. Environmental Protection Agency because it risks aggravating dormant mercury. Scientists have told the Star, however, that bank-to-bank dredging has not been considered as a viable option for the river system, even in the 1980s. The most recent report, written by three freshwater scientists, is recommending a plan based primarily on resuspension of sediment, as well as another technique that involves injecting nitrate or oxygen into the bottom of lakes. The ministry did not provide the Star with any scientific evidence cautioning against these methods. The report, which thrust the decades-long issue of mercury contamination in Grassy Narrows back into the spotlight last month, also said there may still be an ongoing source of mercury polluting the area. The source of the mercury leak could be mercury dumped in the river in the 1960s that has been dormant in the river sediments but only now is being churned up. Mercury could also be seeping into the river from a site around the old Dryden paper mill. It’s impossible to know if there is a leak coming from the site because the government recently acknowledged to the Star it has not tested the river water near Dryden, Ont., since 1980. The Star recently published an investigation that found the province had ignored startling information from retired labourer Kas Glowacki, who reported that 40 years ago he was part of a small crew that “haphazardly” dumped drums of mercury and salt into a pit near the Dryden pulp plant. The government ignored Glowacki’s tip for seven months but jumped into high gear after the Star started asking questions. On Monday, the province announced they were testing groundwater in the area identified by Glowacki and were bringing in sonar to look for the buried drums. On a visit to Grassy Narrows earlier this week, Environment Minister Glen Murray and Indigenous Relations and Reconciliation Minister David Zimmer, formed a plan to begin to deal with the issue of mercury poisoning in the community. 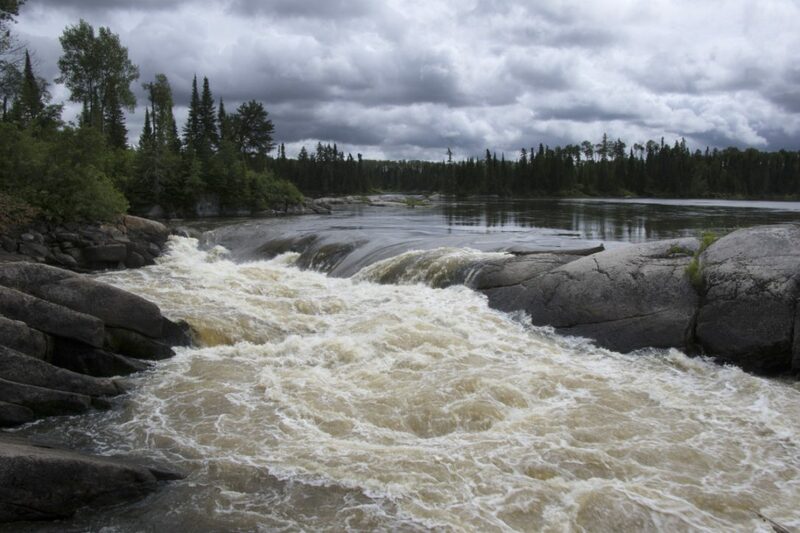 The province has committed $300,000 to support water, sediment and fish sampling in a stretch of river that Grassy Narrows council has identified as a top priority. The government has not yet committed to cleaning the river system. Tremors, tunnel vision, impaired hearing and speech, and impaired finger movement are symptoms commonly associated with people who have mercury poisoning. As recently as 2014, the government said “symptoms consistent with mercury poisoning are still evident” in Grassy Narrows.